"...Frigging awesome...Need to sell this on hunting shows! ...Duck hunting and guns dry...all unloaded and dry... - Heyward B. “Thanks for the help! I totally found you guys on a last minute stretch for help, I just bought a 2019 ram 1500 but didn't really want to blow 900 bucks on a bed cover during the holidays. So I searched truck bed cover alternative on YouTube and your video came up. I instantly thought what an amazing idea. Yes it's a temporary use, yes it's not the prettiest but, in my case I would rather spend 40 bucks now and be able to pile all our gear up over the bed line...On the road now.... pouring rain. Everything is dry so far, every single fuel stop I am getting asked many questions.” - David S.
“We came to Jacksonville for a quick trip and picked up a leather chair...how to get it back to Atlanta in pouring down rain? 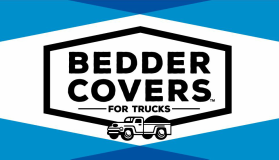 BEDDER COVERS!! !” - Matt R.
“Hooray for heading out for some tent camping! Boo for driving into heavy rain! 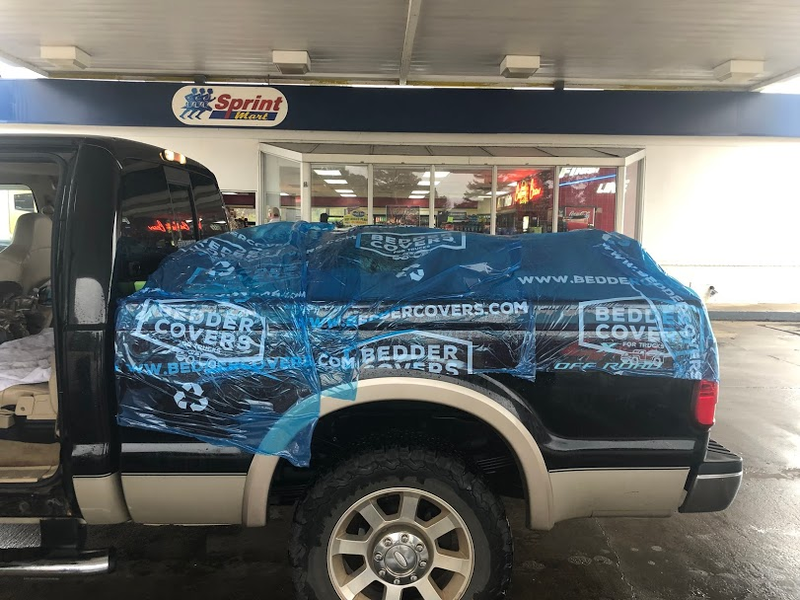 Thankfully our gear will stay dry thanks to Bedder Covers!" 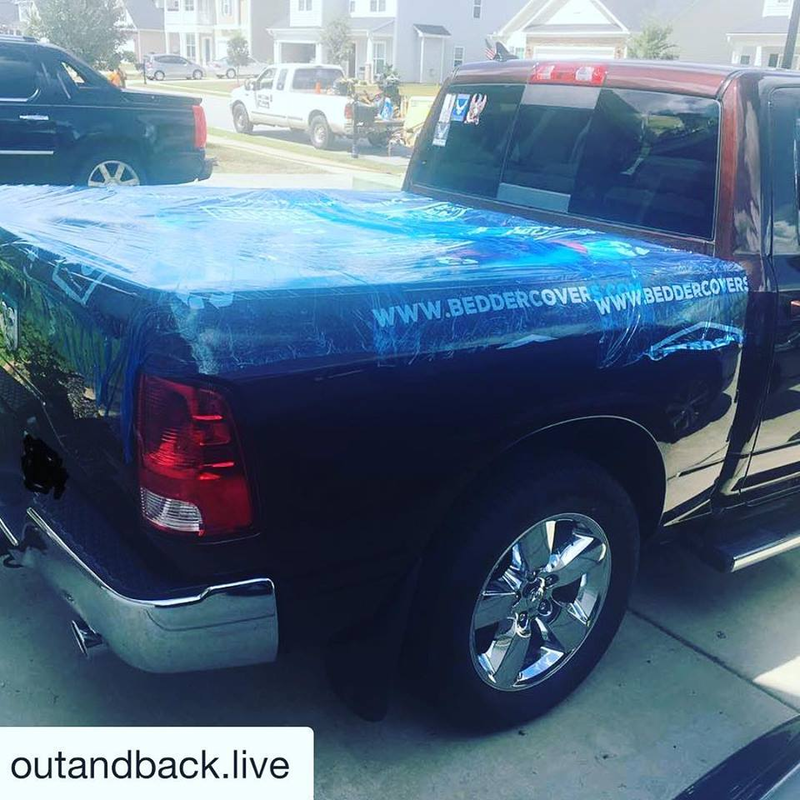 - Michael Ann R.
"I'm not sure what we would have done without it [Bedder Covers]. Tarps undoubtedly would have shredded before we even reached the halfway point...The product is relatively simple to use, and so sealing up the bed was a breeze....Cutting out the gas cap and tail light holes was easy and didn't scratch the paint on the truck...We traveled for about 11 hours. 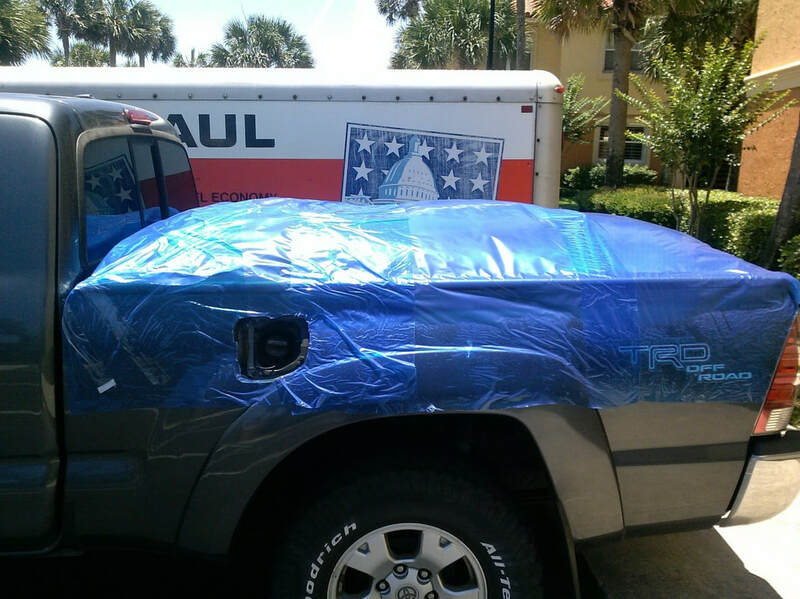 It literally rained for eight hours, through three states...It rained on and off all night, and the cover remained completely watertight...We drove five hours the second day through on and off rain... 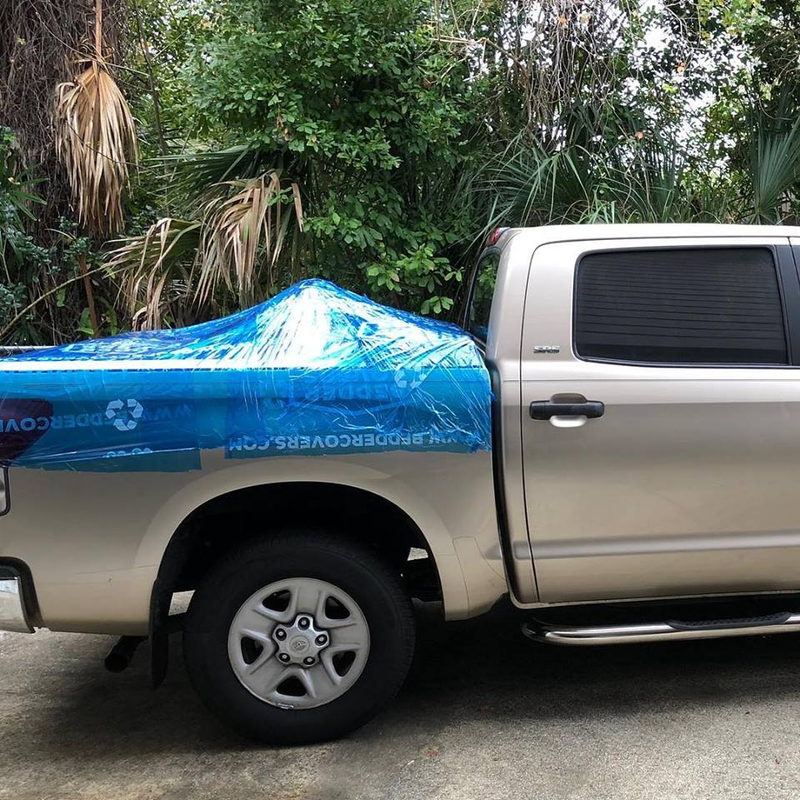 When I unwrapped the bed, the wrap left no marks or residue on my truck, and the contents were completely safe and dry...it held up extremely well. After extreme heat, over 1000 miles, and two days of rain (downpours at times), the wrap held up 100%. I'm completely impressed with the durability of both the plastic and the adhesive..." -Jonah H.
Want to be featured? Send us your story with pictures and we'll add you to our testimonials page and share on our social media! Help spread the word about our innovative product!